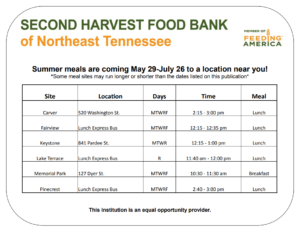 The JCHA partners with the Second Harvest Food Bank of Northeast Tennessee to provide free lunches for children during the summer months. 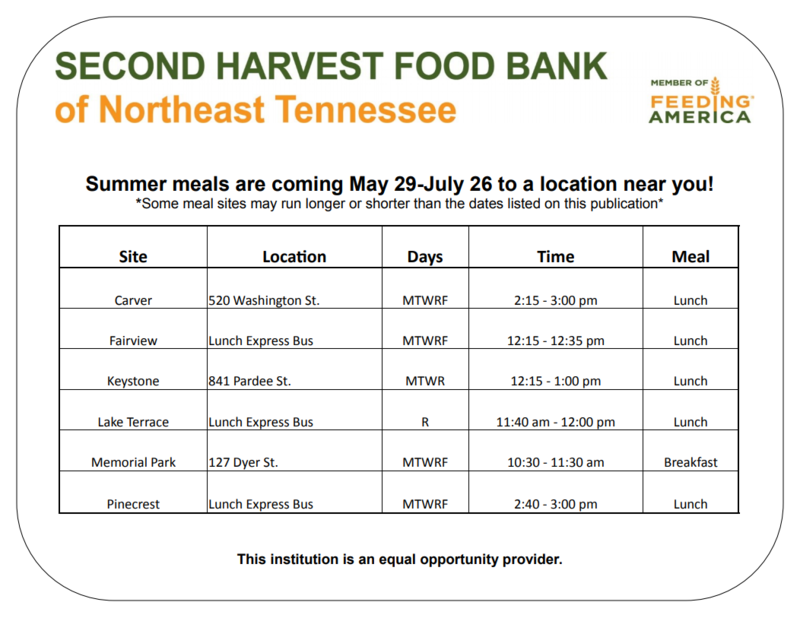 For the full list of sites and schedules refer to the chart below. Learn more about the Head Start program at uethda.org. 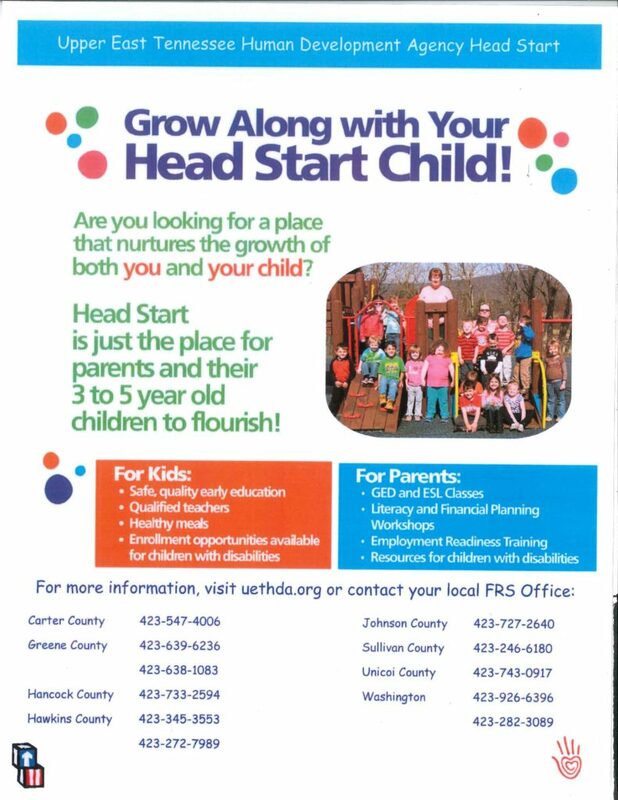 Or call Bonnie Jones at 423-246-6180 at Head Start of Upper East Tennessee Human Development Agency.